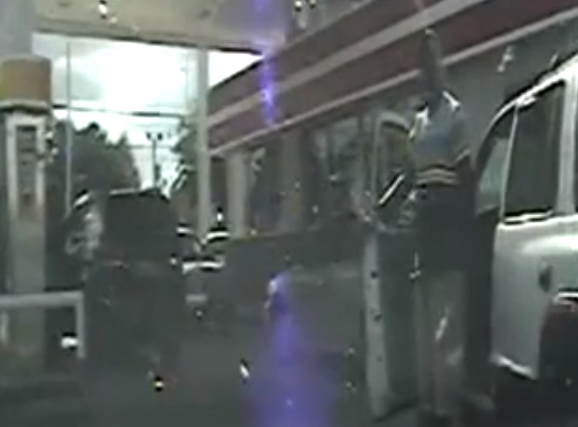 South Carolina dashcam shooting: Sean Groubert, Levar Jones incident on video. Police dashcam video shows a now-former South Carolina state trooper named Sean Groubert repeatedly shooting a black man named Levar Edward Jones as Jones reaches into his car to produce his license after being pulled over for a seatbelt violation. The video of the Sept. 4 incident was released Wednesday night by law enforcement officials. Groubert has been fired and charged with felony assault and battery. Jones survived the shooting. In the video, Groubert can be heard asking to see the Jones’s license. When Jones then reaches into the car, Groubert yells, “Get out of the car! Get out of the car!” and begins shooting. The video’s release coincides with an event in Washington D.C. at which the parents of Michael Brown and Eric Garner in Washington D.C. called on federal authorities to completely take over the investigations of their sons’ deaths. (Garner is the New York City man who died after being put in a chokehold by police.) The Justice Department is reviewing Brown’s case to determine whether or not officer Darren Wilson should be prosecuted for violating Brown’s civil rights, but the investigation into other potential charges against Wilson and the investigation into Garner’s death are being conducted at the local level. Update, Sept. 25, 2014: This post has been updated to note that Jones survived the incident.